I have always offered the Proverbs 31 eBook free to subscribers but today NO subscription is required! I want to give you all the direct link to download it now ! 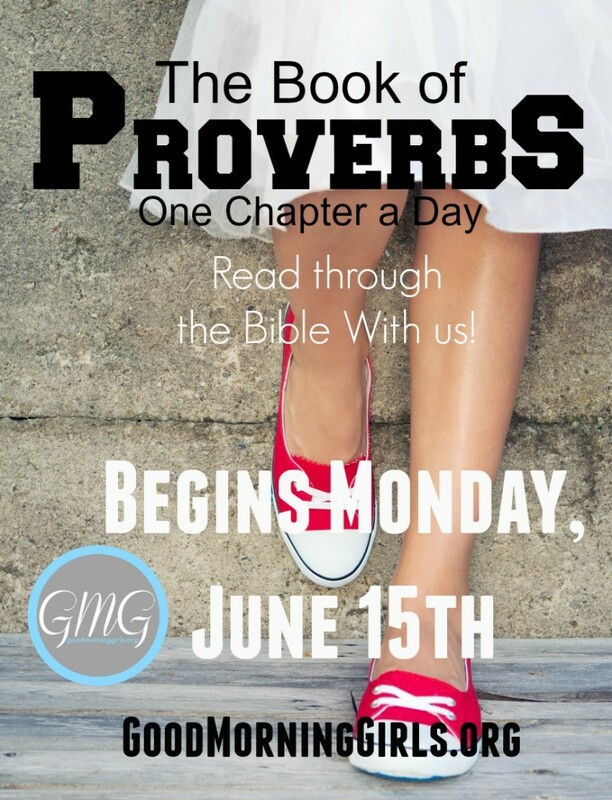 Our Summer Good Morning Girls Schedule includes reading one chapter a day in the book of Proverbs for 6 weeks. We begin our study this Monday, June 15th! All of the resources for that study are available over >> HERE <<. After we complete our study through the Book of Proverbs, we will spend one full week doing an in-depth study of the Proverbs 31 Woman. This will be the week of July 27th to July 31st. I want you to be able to access the Free Proverbs 31 eBook easily. So here it is! Tell your friends – spread the word! Over 50,000 women have already downloaded it for free! By studying the book of Song of Solomon for 2 weeks! Join us here next Monday, June 15th as we begin! All are welcome to join us – there are no subscriptions, enrollments or sign-ups required! I cannot WAIT for Monday to arrive – I’ll see you back here then! **Dear Email Subscribers – I have changed service providers for the emails. I apologize in advance for glitches. **Not a subscriber yet? Don’t miss a thing! Subscribe below! Is the ebook available through Amazon store to download onto my kindle? Hi Sheri -I’m sorry this is not on amazon – it’s just a pdf. Connect your Kindle to your computer via the USB port. Use your computer’s file system to find the Kindle; it’ll show up like any other computer drive. Drag the file you downloaded into the Documents folder on the Kindle. Eject the Kindle from your computer as you would any other removable disk drive. 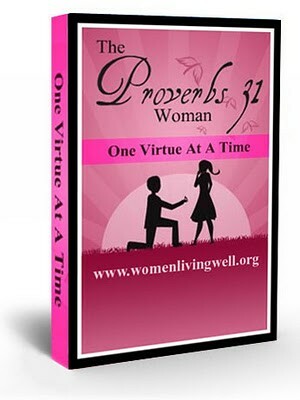 Thank you so very much for this free Proverbs 31 E-book. Wish many believers could read this Proverbs 31, just like I do, and become a blessing to their family and where ever God puts us. Have you translated the book? If not, I would like to translate it to spanish for the women in muy church that can’t read english. We do not have it in Spanish yet – I’d love to have your help! Can you email me at courtney@womenlivingwell.org and we can chat further about this? thank you for your book to Proverbs 31. Will there be a study book about it? Thank you so much for the free book. I can’t wait to read it and start start the study. You continue to be a blessing to me! Thank you for the Ebook – as always, your thoughtfulness & generosity is greatly appreciated. Thank you Courtney! So excited to start this new round of studies! Pinned and shared! Thank you Courtney! Will you be using the download book, Proverbs 31 woman one virtue at a time, during the week following the 6 week study of the Book of Proverbs? hi Courtnay I have been trying to download this to my iPad but cannot get it to work. Do you happen to know how? Thankyou. I have the Inductive study bible but NASB – will that work with this program? Yes Judy – that is great! I just wanted to say thank you so much. I read you book last week and all the pages are either turned down or underlined. I am a Catholic Woman living in England and I found that so many of your ideas resonated with me. I am going to approach my Parish about the mentoring scheme for women. You have inspired me so much and enforced my belief that I am on the right path with my child and family. I am three days into the 10 day challenge and my husband is already noticing. Your words shine with the Holy Spirit. God bless you. Hi! I missed the first week of the study. Is there anyway to see the first week? Ohh Courtney thanks for the study of Proverbs, As I began to ditch in through the resources I am having to translate to my GMG group, I came across with Proverbs 31 woman e-book and simply adored. Spring words ti fill our hearts !! thanks again for being a such a blessing in our lives!